The Ketosis Controversy: Is It Healing or Harmful? Ketogenic diets are an ongoing source of debate in the paleo community. Some people say they are the cure for all ills. Others say they are dangerous and should be avoided. Today, we hear from two experts, to discuss the pros and cons. Are all ketogenic diets alike? What does the science really say? Who can benefit most from ketosis? And what are the cautions? We take a balanced, educated look, so you can decide if it's right for you. 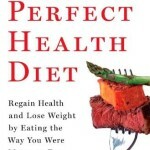 Dr. Terry Wahls is a physician and author of The Wahls Protocol. She follows a ketogenic diet herself to reverse multiple sclerosis. 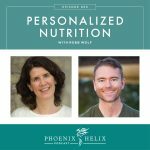 To learn more about Terry and The Wahls Protocol, listen to Episode 7 of this podcast. Dr. Paul Jaminet is a scientist and author of The Perfect Health Diet. A negative experience with a ketogenic diet let him to be a safe starch advocate in the paleo community. 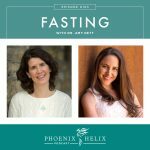 To learn more about Paul and The Perfect Health Diet, listen to Episode 12 of this podcast. Ketones are small molecules that can be made from fatty acids or amino acids. They're unique calorie sources because they don't need a mode of transport. They are small enough to pass through cell membranes on their own, including into the brain. In certain conditions, they are the preferred fuel source for the brain. A low-carb diet is NOT the same thing as a ketogenic diet. Most people have to “work” at being in ketosis. It rarely happens accidentally. The one exception is insulin-dependent diabetics who can slip into ketosis. MCT = Medium Chain Triglycerides that are found in coconut oil and MCT oil. You can get more ketones from these types of fats, and it allows for a higher carbohydrate intake while still maintaining ketosis. This means you can eat more vegetables and receive their beneficial fiber, resistant starch, and nutrients. A standard ketogenic diet relies on dairy for the fats and usually only allows for about 25 grams of carbs, whereas an MCT ketogenic diet allows for 60-100 grams of carbs, depending on the person. Wahls Paleo Plus is the MCT ketogenic diet that Terry herself follows. She emphasizes nutrient density through a wide variety of non-starchy vegetables and organ meats during the week. The amount of protein and carbs a person can eat while maintaining ketosis varies. The Perfect Health Diet also includes an MCT ketogenic diet option. It's similar to Terry's program, but emphasizes the inclusion of some starchy vegetables, prepared in a way to promote their resistant starch content (cooking, cooling and reheating). 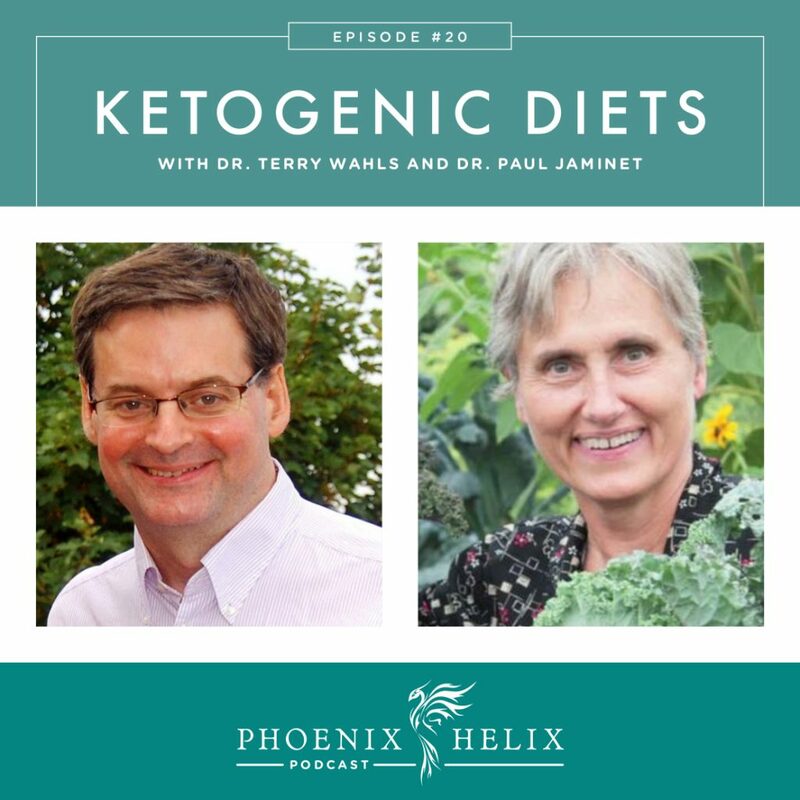 Both Terry & Paul emphasize that all types of ketogenic diets require focus to avoid nutrient deficiencies, and supplementation may be required. The ketogenic diet entered clinical use around 1920 for epilepsy, where it was found to stop seizures. They didn't consider factors beyond that and paid no attention to nutrition. For that reason, there are lots of recorded side effects that are a direct result of malnutrition: stunted growth in children, kidney stones, muscle wasting, weak bones, etc. The idea of developing a nutrient-dense MCT ketogenic diet is relatively new, and most studies don't use this type of diet. In fact, some of the studies don't even use real food, but rather bottled formula. Paul's blog post critiquing the nutrition of the scientific studies. Paul has received testimonials from people who implemented his ketogenic diet successfully for NBIA disorder, migraines, bipolar disorder, and epilepsy. Current scientific studies are looking into ketosis as a therapy for Parkinson's disease, Alzheimer's, Huntington's, ALS, and cancer. It's too soon for results, and Terry doesn't know which (if any) are using MCT versions of the diet. Terry herself is conducting clinical trials into the effectiveness of the Wahls Paleo Plus diet on MS. Early results have surprised her: people benefit just as much from Wahls Paleo (the non-ketogenic version) as they do Wahls Paleo Plus (the ketogenic version of her diet). Terry has received testimonials from people who have benefited from ketogenic diets for cancer; it seems to mediate the side effects of chemotherapy and radiation treatments. Progressive neurodegenerative disorders, such as ALS. Any other neurological condition that doesn't respond to her regular Wahls Paleo diet. In this circumstance, she recommends intermittent ketosis (a few months in and a few months out). This is what she is now doing herself. Prior to this, she had been in ketosis for 2 solid years. She recommends people look at their ethnic background, and how long their ancestors experienced winter. Experiment with ketosis for that length of time only, and if your ancestors didn't experience winter, this might not be the diet for you. Even the Inuit go out of ketosis 2 months each year. Any neurological condition, such as NBIA, epilepsy, ALS, Parkinson's, migraines, mental illness, and brain cancer. Other forms of cancer during chemotherapy only, with the caveat that they should go out of ketosis once treatment is complete. He believes a ketogenic diet is better as a diagnostic tool rather than a continuous treatment, and you might be able to transition to a less stringent protocol (like the regular Perfect Health Diet) and receive the same benefits. Who Would You Warn Against a Ketogenic Diet? He believes a ketogenic diet is more likely to cause autoimmune disease than cure it, due to the depletion of the mucus layer of the intestine, which puts bacteria directly into contact with immune cells. (Carbohydrates are necessary to maintain this protective mucus layer.) For example, there's a theory that connects a bacterial infection with a low carb-diet and high mammalian meat consumption, leading to Hashimoto's. When Paul first went paleo, he experimented with a standard ketogenic diet, with no attention to nutrition. After 18 months, he actually developed scurvy, along with other health problems. She doesn't recommend a ketogenic diet to be the first troubleshooting step for people with autoimmune disease (nor an elimination diet like the AIP for that matter). 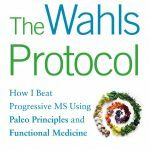 If people don't see results on regular Wahls Paleo, she recommends functional medicine assessment. Her bias is to preserve as much diversity of food as possible, since nutrient deficiencies lead to disease. However, she recommends everyone eat a low-glycemic diet. Terry recommends people spend 2-4 weeks at each level of her diet, before moving up to ketosis (which is level 3). This mitigates side effects from transitioning too quickly. Similarly, Paul recommends doing the standard Perfect Health Diet first, before transitioning to the ketogenic version of his diet. This gives people a chance to see if they improve on the regular version without a need for ketosis. It also gives them experience with intermittent fasting (IF), and if someone has challenges with IF, they shouldn't do ketosis. Measure your ketones daily, to ensure you stay in ketosis and discover your personal carbohydrate tolerance: Urine Ketone Strips or Blood Ketone Strips and accompanying Monitor. Watch out for negative symptoms. Terry: “Hail to the Kale.” Include fiber and resistant starch in your diet through raw vegetables or cooked/reheated starches. We need to feed our microbiome as well as ourselves. Paul: Gut bacteria produce short chain fatty acids that help generate ketones, so it's mutually beneficial to feed them. Paul can be found at Perfecthealthdiet.com. Terry can be found at Terrywahls.com. Both of them have upcoming in-person events: Wahls Protocol Seminar and Perfect Health Retreat.